Bestel Nation voordelig bij de grootste kinderboekwinkel van Nederland. Levertijd 1 dag. 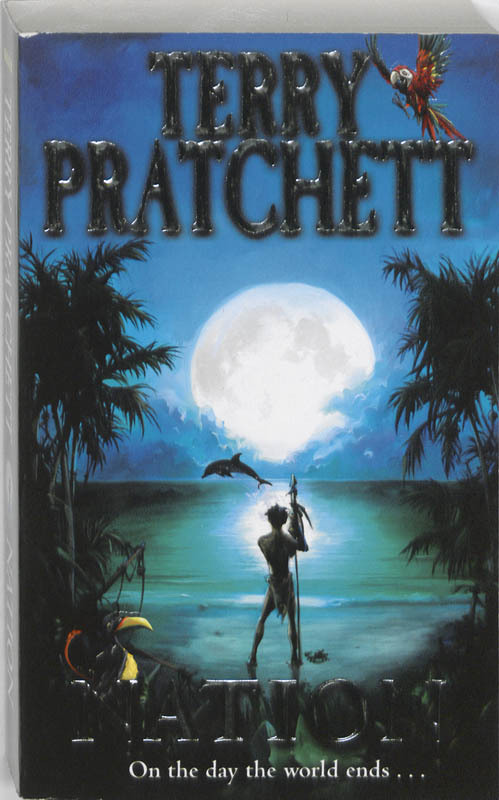 When a giant wave destroys his entire Nation - his family and everyone he has ever known - Mau finds himself totally alone. Until he meets Daphne, daughter of a colonial Governor and the sole survivor from a shipwreck. They have no common language, no common culture - but together they discover some remarkable things - like how to milk a pig and why spitting in beer is a good idea - and must try and forge a new kind of Nation. 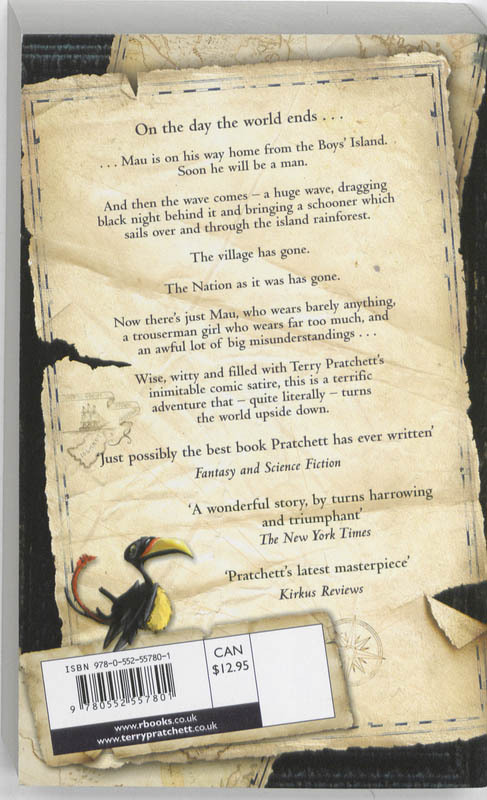 Then other survivors arrive to take refuge on the island, and not all of them are friendly...As can be expected from Terry Pratchett, the master story-teller, this new children's novel is both witty and wise, encompassing themes of death and nationhood, while being extremely funny. Mau's ancestors have something to teach us all. Mau just wishes they would shut up about it and let him get on with saving everyone's lives!